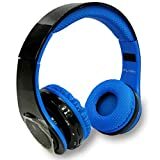 Save on Over-Ear Headphones at Solar Benefits Boulder County. Top brands include iFlash USA. & iFlash USA. Hurry! Limited time offers. Offers valid only while supplies last. View more products in Headphones.